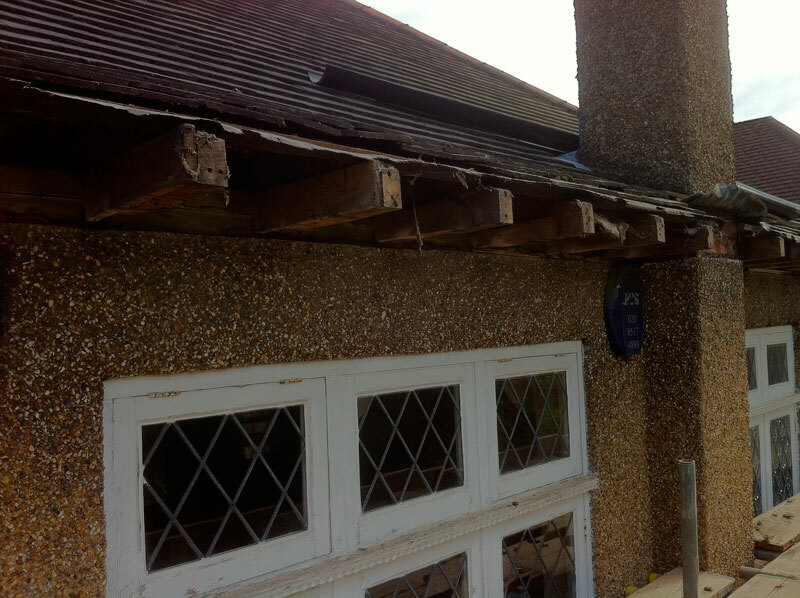 The fascia and soffit boards on this property had seen better days. 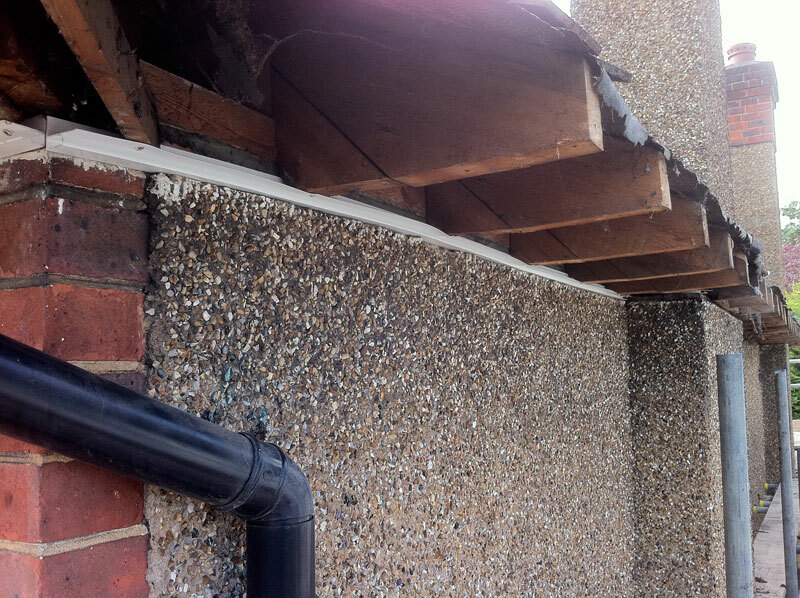 The soffit was in particular poor condition with a large gap developing between the soffit boards and the brickwork. 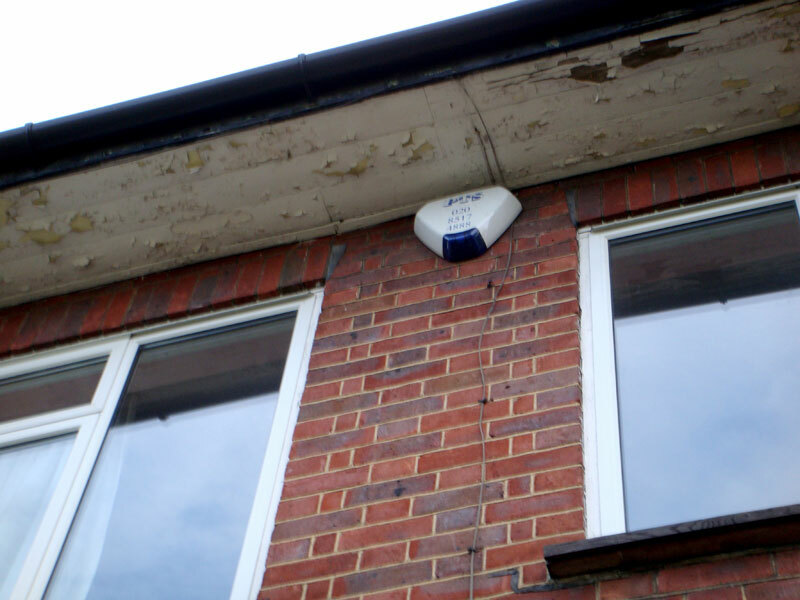 This was a concern as wasps, other insects and animals can exploit this gap and gain access into the loft space to make a home. My client liked the wooden fascia and soffit boards, however the property required 44 metres of fascia and soffit and this would be too expensive. There are some very good uPVC products on the market and we decided to use a plain white soffit board fixed to the property using a ‘F’ trim connected to the brickwork. 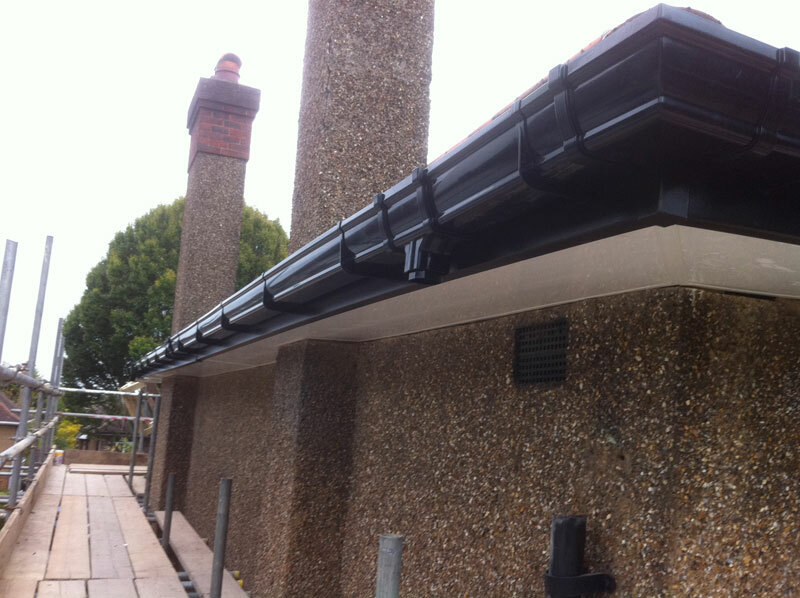 The ‘F’ trim makes a expansion joint between the brickwork and the soffit so the existing gap will disappear and never return. 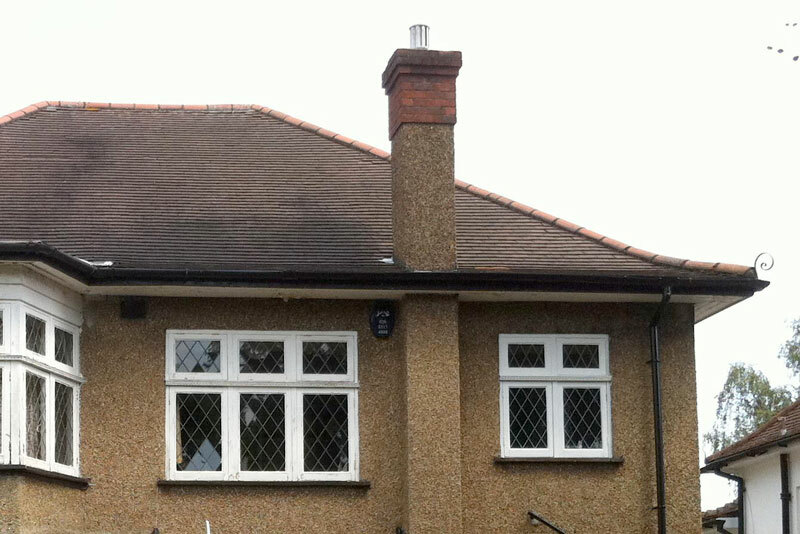 To retain the wooden look we install a black foiled wood effect fascia. 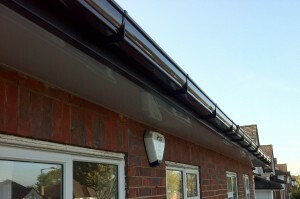 The client also upgraded the guttering from standard capacity half round to Osma StormLine. 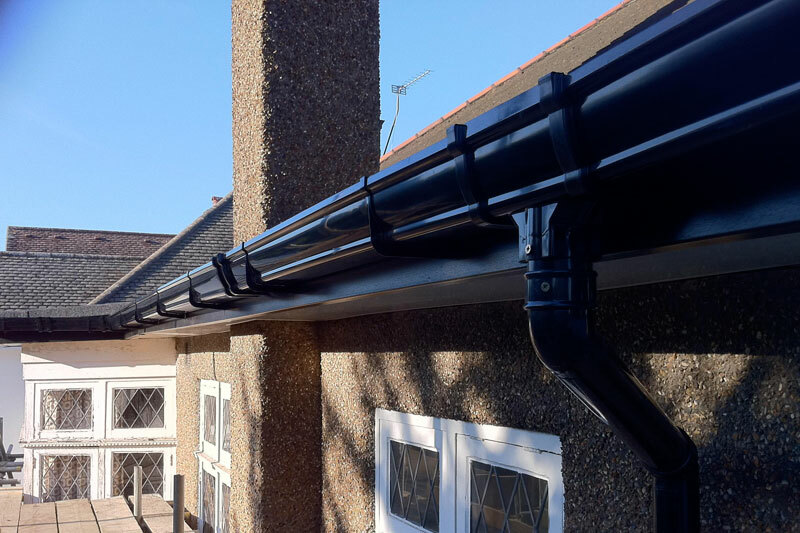 There are many excellent features to StormLine one of which is a higher front edge that ensure capture of rainwater run-off from the pitched roof.